The Scoop: Mobile phones are the most popular and most used mobile devices all over the world. For so many years, we still don’t know that there is more to your phones than you realize. Are you an Android user? Check the tips and tricks that you should know. Mobile phones are getting more and more popular nowadays. The competition in the market also gets hotter. With so many new models that are being developed and released each year, there is no sign the mobile use is stopping. That being said, it is also noticeable that not only the phone models are competing but also for their Operating System or OS. As of February 2017, Google has tweeted that more than 2 billion monthly active users are using Android. You can imagine how much that number has increased. Not only that, Android also supports plenty of impressive smartphones. Since there are plenty of Android users, here are the tips and tricks that you should know to make your Android experience awesome. If you think that playing Pokémon Ruby and other retro games are for the Gameboy only, think again. Thanks to Gameboy emulators, you can now play your favorite retro games from your phone. Just install some Gameboy emulators from Google Play Store and you will be able to enjoy Pokémon and other popular retro games. Our phones are our companions and sometimes the keeper of our secrets such as an awkward conversation with your crush that you wanted to keep as a memento. However, you just can’t say no to your cute nephew/niece who wanted to borrow your phone because you have cool games. To keep their attention on their game and nowhere else, make use of screen pinning! When you pin an app, your phone will only run that app unless you put in your unlock code. Consider your secrets safe from wandering eyes and snooping people. 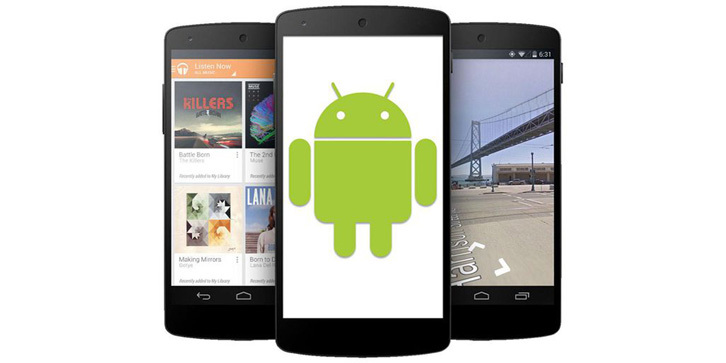 Smartphones are equipped with apps to prepare new users. However good these may be, some of those are useless to people while some have their own preferred apps to download. Plus, you have to consider your memory usage when getting new apps. How can you delete pre-loaded apps? Head over to your settings then to the application tab. You can either force stop apps, where they are disabled temporarily, or disable them entirely. The status bar that makes a home for the important information that you may want to know about your phone. However, what if you don’t care to know some of the information that is placed there? No worries, you can personalize what information gets to be featured in the status bar. You can do this by accessing a hidden settings menu called System UI Tuner and get to personalizing. Unfortunately, this feature is available for Android Nougat and up. Therefore, not all Android users can have this feature. Normally, when sending files to and from your friends, you will have to send them through emails, text, Facebook and more. Now you don’t have to rely on those apps when you can get to send and shares your files with your friend fast, easy and with just a tap of a finger. Android Beam is the feature that you need. However, not all can get this feature. Check if yours have one and prepare yourself to go beaming. Other than taking care of your phone’s performance and battery, you will be able to enhance how you use your phone. Additionally, there are plenty more of tip and tricks that will improve your experience with your phone. So what are you going to try from the tips above first? Want more articles like this one? Check us out!